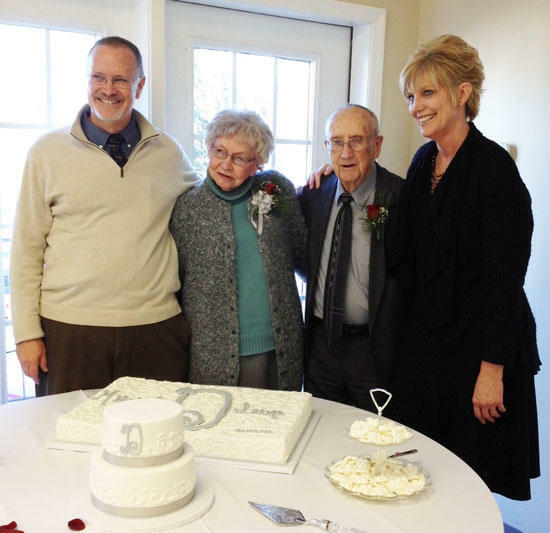 Mitchel and Irene Dunn, longtime residents of Cannon County, recently celebrated their 70th wedding anniversary. They were joined by about 100 friends and family members for a reception at the Auburntown Church of Christ. The Dunns were married in a simple private ceremony on February 23, 1942. Here they are pictured with their son, David Dunn and their daughter-in-law, Trisha Dunn. Auburntown and Cannon County is honored and enriched by having this couple and their family return here to live. Congratulations to Mitchel and Irene on such a successful marriage and for all you do for your community. You are all greatly appreciated and we enjoy knowing you as our friends.